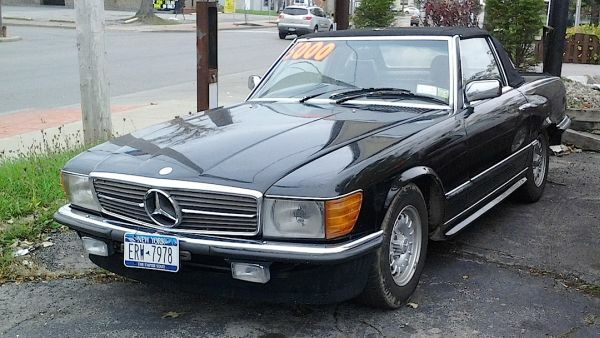 (Import Week continues…) The five-grand price tag on the windshield of this 1984 Mercedes-Benz 500SL AMG probably had more than a few passers-by drooling last summer when we snapped this photo in Tonawanda. I almost bought a reasonably-priced Benz back in the seventies, until the reality of the cost of M-B ownership sunk in before I pulled the trigger. Still, to this day I always wonder what-if… Jim Corbran, RRofWNY The post RealRides Of WNY appeared first on Buffalo Cars.